Boris Kolev is a dreamer-enthusiast. He is a visionary serial entrepreneur living with the mission to change things, locally and globally. Boris started his first enterprise as a student project just after entering the high-school. Turning 18 he founded his first startup and was quickly recognized as one of the most perspective young entrepreneurs in Europe. Just a few years later after couple of fails as well, Boris has successfully founded 8 companies, 3 social businesses, 2 non-profit organizations and a master degree program in CSR. Born in 1988 in the small town of Targovishte, Boris’s parents are just graduated engineers. He had a very calm early childhood, but everything changes when the family is forced to move in Sofia because of the lack of job opportunities in the town with the highest unemployment rate in the country. While in Targovishte, Boris wins an International Golden Medal for kids’ drawings and touches a computer for the first time in the local lyceum learning to program on 8Bit Pravets Computer. In 2007, the family, together with his newly born sister has moved to the capital. In Sofia, Boris went to 43rd School where he spend pretty hard first years as a boy coming from the deep province but he founded solace in music and sports. Challenged into finding a well-paid job and be able to help his mother and take care of his sister, Boris found out that it‘s almost impossible for a 12th grade student to find good job. Then the only option he had was to start over the student company into a real one. He waited to turn 18 years and on the first week he registered his first legal company – JT International, together with two friends from the JA-YE Alumni Club. The first idea of JT was to become a marketing & PR agency but it turned out that the companies does not have any trust in 18 year old kids to run their PR activities. After the first fail of the team the three partners split up but Boris took what was left of the company and started alone from scratch developing the idea to find and deliver Marketing Innovations in Bulgaria. The company started producing websites firstly investing his own and friends’ time and the team started growing. The first big innovation was the Bluetooth Marketing service the company introduced to the market which quickly became so popular that Boris decided to excrete the service into a separate company. This is how BlueMark was found. The company served only Bluetooth Marketing to some of the largest brands on the market including Mobiltel, Coca-Cola, Nokia, BMW, Bet365 and more. After the success of the first child company Boris started to create new ones, as the ScentMark, a ScentMarketing company. In 2009 was created NetMark, the first company in Bulgaria providing solutions for Social Networks Presence Management. NetMark quickly signed some of the country’s top brands as clients. The next founded companies were ViralMark, GreenMark, SocialMark, JT Design, JT Advertising, JT BTL, JT Eventis and Final Touch, most of which closed or failed pretty quick but succeeded to add lot of knowledge and experience in Boris’s life. All the companies are forming the so called JT International Group, which in 2014 consists of 40+ employees. Boris used to spend most of his free time volunteering in social projects and causes out of work. While helping different non-profit organization he spotted many problems in the relationships between the NGOs, Business and the Medias in the country, so he founded a team of followers and in 2009 founded CSR Bulgaria – The Bulgarian Corporate Social Responsibility Business Network. The organization functions as a connecting network between NGO, charities and causes, the business and the media sector. In 2011, CSR Bulgaria together with the VUZF University in Sofia founded the first Master degree in Corporate Social Responsibility in Eastern Europe. Other direction of Boris interests are the personal development sector where he founded “The Mastermind Foundation” which started by obtaining the local rights for distributing the phenomenal movie and book “The Secret” and created the first internet portal for self-awareness and personal development knowledge and information in Bulgaria. During the period between 2008 and 2010, Boris was an active part of the Step for Bulgaria Foundation which helping with the organizing large educational camps for orphan children in the country. In the sphere of education Boris, enrolled the local branch of University of Portsmouth, UK for a Bachelor degree in Marketing & Management but he dropped out during the third year because he lost sense in what has been taught in the university.In 2013 a new company in the JT International group was founded – the startup DigiMark which is specialized in mobile software development and smartphone applications. After the first few months of existence the startup has been recognized as the fastest growing startup company in the country delivering projects for some of the world’s top brands locally. Young Manager of the Year 2010 – 2nd Place. JT International is Boris's first enterprise, founded in 2007. The company started with delivering marketing innovations on the Bulgarian market. Later the company transformed into a incubation-hub for starting and developing new businesses spinning off into separate companies. In 2013 the JT International's Group founded its 8th child enterprise. The mother company serves as a strategic surveillance unit and a core investor in all spinoff businesses. Since 2012 the Group started forming its priority into Digital & Software Innovations covering wide set of services and digital solutions served to clients from all continents. DigiMark is the latest company in the JT International Group. The company is focused in delivering Mobile software solutions for the main smartphone platforms Apple iOS, Google Android, Microsoft Windows Phone & Blackberry. The company was founded in 2013 and was recognized as the fastest growing startup in Bulgaria for 2013. JT Design is actually the first company spinned off from JT International in 2008. The company is serving web design & digital design services and since 2008 is the most stable part of the JT family in terms of team stability & profits. The company delivers more than 120 client websites per year in average. NetMark is a Social Networks Marketing company delivering long term services and solutions for brands' social networks presence management, promotions and social applications development. The company was founded in 2009, as the first company from its kind in Bulgaria. Currently the company is serving as a boutique agency working for some of the top brands in the country. BlueMark is delivering Bluetooth Marketing solutions since 2008 and became an overnight success for the group since its first delivered campaign. The company have delivered Bluetooth marketing campaigns for brands like Coca-Cola, Nokia, BMW, Mini, Mtel, J&B, Jameson, BNP Pariba, Alphabank, Bet365 and many more. Final-Touch is a company for construction & building innovations founded in 2010. The company is delivering "Smart House" systems integrated in the planning and construction phase of the buildings. The company is an importer of a "Nano Glass", "Nano Facade" solutions, the world's first "Self Cleaning" Glass and other innovations. GreenMark is one of the newest brands in the group. The company is certifying "Green Offices" and "Green Companies" on the territory of Bulgaria. GreenMark™ team is noticing, analyzing, consulting and recommending companies' Green practices and policies. JT Eventis was founded in 2008 delivering event organisation services. The company life was only 5 years before the JT International board decided to close the company and step out of the event business in the country. During its history the company was serving some of the top brands in the market but the lack of future development and expansion led the owners to invest in different spheres. TipCard is an startup developing own Loyalty System based on Network Marketing (MLM) where the users receive rewards based on their friends purchases and spending. The company covers large network of places, shops, large and small traders. 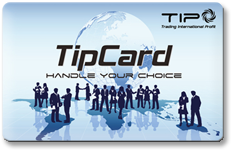 TipCard is an external investment of JT International made in 2010 and stepped out of the project in 2013 selling its shares. JT Inventis is a consulting and research company delivering creative solutions and ideas. There are many brands and marketing agencies which are outsourcing the initial idea formation for marketing campaigns, advertising, events, new products development and many more. JT Eventis is combining a team of unique professionals from different spheres, together with psychologists, philosophers, designers, art people, doctors and whoever is needed to deliver amazingly unique ideas and solution proposals. Calls.bg is a unique project providing free phone calls paid by advertising clips. The users are available to make free calls worldwide but first hear a 5 to 10 seconds advertising clip which covers the cost for the call. The project is a partnership project between JT International & VIB solutions. CSR Bulgaria is a Non-profit organisation founded with the mission to spread the idea of corporate social responsibility on the Bulgarian Market. The NGO serves as "The Bulgarian Corporate Social Responsibility Business Network" connecting businesses, charities, non-profits, and medias. The organisation created the first online CSR media - csr.bg publishing on daily basis detailed information about social causes, CSR practices, initiatives, researches and more. In 2012 the organisation together with VUZF University created the first Master degree program in Corporate Social Responsibility in Eastern Europe. The organisation is one of the most recognized brands in the social and non-profit sphere in Bulgaria. The Mastermind foundation is the first organisation in the country working towards spreading the self-awareness and personal development knowledge, information, initiatives, events and many more. Mastermind.BG is the first online self-development portal in Bulgaria. The organisation is maintaining a large community of fans of different self-development teachings and techniques united into "The Mastermind Club". The organisation is founded in 2008 after acquiring the rights for translate and distribution of the phenomenon movie and book "The Secret". The ForumsLeague is a social project formed in 2005 as a student project of Boris Kolev and classmates and friends. The ForumsLeague is an amateur football championship between the internet forum communities. The project quickly became the largest amateur soccer championship in the country with more than 600 people playing soccer every weekend 10 months in the year. The first year started with 22 registered teams with 440 people playing. The second year over 35 teams registered and the organizing team had to establish First and second division of the ForumsLeague. In 2006 was introduced the third division and the teams became more than 40. Since the beginning the tournament was supported by Bulgarian Football Union and many media partners. In 2014 the Forums League celebrates 10 years. During the 420 days long civil-society protests against the communistic mafia government in Bulgaria in 2013 and 2014, a social project was born with the initiative and mission to collect ideas for the future development of the country and democracy. Citizen.bg is a civil project aimed to crowd-source ideas and unite different communities. Junior Achievement Alumni Business Club Bulgaria is the alumni organisation of the Junior Achievement Foundation in Bulgaria. The organisation is founded to unite the students and young people who has graduated from the JA educational programs and enable them to continue advancing their knowledge and skills while helping the organisation. JA Alumni Bulgaria is a member of JA-YE Alumni Europe. 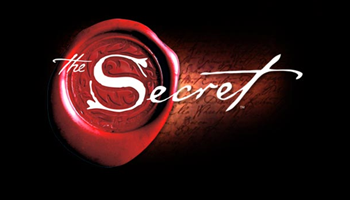 The Secret is a best-selling 2006 self-help book written by Rhonda Byrne, based on the earlier film of the same name. It is based on the law of attraction and claims that positive thinking can create life-changing results such as increased wealth, health, and happiness. The book has sold more than 19 million copies worldwide and has been translated into 46 languages. The Secret consisting of a series of interviews designed to demonstrate everything one wants or needs can be satisfied by believing in an outcome, repeatedly thinking about it, and maintaining positive emotional states to "attract" the desired outcome. Boris Kolev's interest in the topic led him to purchase the rights for translation and distribution of the movie and the book for the Bulgarian Market. The Bulgarian version of the DVD became the most selling Movie DVD on the Bulgarian market for all time. This initiative actually layed the foundations of the Mastermind Bulgaria project. Step for Bulgaria is a non-profit project developing the largest ever educational projects for orphan kids in the country. Step for Bulgaria team was organising a summer educational academies for orphan kids from all parts of hte country in 2007,2008 and 2009. The summer academies took between one and two months composed of everiday educational, sport, practical and fun activities for the children. The mission of the project was to educate and give important life skills to the children so they are enabled to survive and succeed in their life after the orphanage houses. JA Bulgaria is one of the most important personal causes for Boris. Ever since he has been in the high school he has supported the organisation with voluntary work, technical and digital solutions and more. Taking care of the orphan kids in the country has always been one of the important causes for Boris, so supporting Step for Bulgaria in the projects has been part of his journey. Boris, personal and together with JT International and JA Alumni Club has been supporting the NGO in the organisation of the largest summer educational academies for orphan kids in 2007,2008 and 2009. Start Up Organisation in Bulgaria has put the foundation of the entrepreneurship society in 2007. Ever since Boris, JT International and all of the companies has been supporting the organisation and the start-up society in the country. Pravata Mi ("My Rights") is a unique project aimed to spread the information for the Peoples Personal Rights in easy, understandable "Translated" version. Pravata Mi is a project of the Department of Legal Culture consists of a Website with hundreds of articles about how to know and defend people's rights. In 2013, Boris and DigiMark did a sponsorship in funding the development of mobile applications for "My Rights" iPhone, Android & Windows so every user could have a pocket version of "My Rights". The applications became the second most downloaded mobile apps in Bulgaria for 2013. For Our Children is the first Bulgarian non-government organization that introduces foster care as early as 1997. The organisation is working to make sure no Bulgarian child spends the first years of their life in the isolation of the institutions but lives safe and loved in a family. The team aims to provide the highest level of support for the babies, children and young people who are at most risk in the community. They work closely with families, extended families, foster carers and healthcare professionals to ensure that every child has the best chance. After the extremely cruel murder of the twelve years old Tzvetan Tzanov by another sixteen year old kid, the parents of Tzvetan are creating the Tzvetan Tzanov Foundation aimed to fight the child abuse in the country. An extremely important cause undertaken by the parents with a great need of support. Boris together with his companies JT International and DigiMark is helping and sponsoring the organisations in their development and projects. Markov College is the first organisation for long-term personal development started in 1992 and is probably the first in Europe. Founded by the great Bulgarian philosopher Petar Markov, the organisation is providing a long term 9 months long educational course for self-awareness, personal development and intellectual, physical, spiritual intelligence skills necessary for people succes, happiness and prosperity. Boris has been a student in the program and ever since is supporting the organisation with sponsorships and voluntary help. Association of the Parents of Children with Kidney Disease is another cause Boris is supporting together with JT International. The organisation is aimed to support the parents of the children with heavy kidney diseases through the process of the treatment and living with the disease. Interview: Boris Kolev, CSR Bulgaria: "When another 14 - 15 years see that nothing is impossible, it gives you confidence that you can and will accomplish much"
The Book "Young Entrepreneurs World" by Sabirul Islam (Link to Amazon) featured a story of Boris Kolev. Received from Coca-Cola - An article about the Bluetooth marketing technology introduced by BlueMark the first spinoff from JT International.